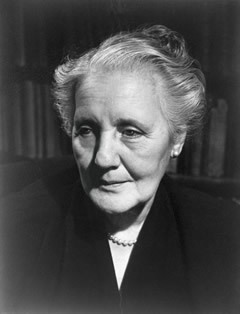 Melanie Klein was born in Vienna in 1882. After marriage she moved to Budapest, where she studied the ideas of Sigmund Freud, went into psychoanalysis with Sandor Ferenczi, and qualified as an analyst of the psychoanalytic society in Budapest in 1919. She moved to Berlin in 1921 and began a second analysis with Karl Abraham in 1924. He, like Ferenczi, encouraged her to explore the rapidly developing field of child psychoanalysis. After her analysis with Abraham was brought to an abrupt end by his death, she accepted an invitation from the British psychoanalyst Ernest Jones and moved in 1926 to London, where she worked until her death in 1960. As a result, London has become the central location for the development of her ideas. In 1938, the ailing Sigmund Freud and his daughter Anna, then a child analyst, also arrived in London. After Freud’s death the following year, tensions arose as to who was best extending the Freudian legacy. The result was the Controversial Discussions, which took place at the British Psycho-Analytical Society from 1941 to 1946 – a protracted, but also very lively, creative debate between Klein and Anna Freud and their followers. The Controversy ended in a “ladies’ agreement” to allow two psychoanalytic tracks at the British Society – the orthodox Freudian and the Kleinian. These two schools of ideas were soon followed by a third – the “independent” or “object-relations” school (Donald Winnicott, Ronald Fairbairn and others). These three groups influenced each other over the years to such a great extent that their sharp divisions no longer exist today. Childhood experiences, all Freudians believe, shape adult psychic constellations. Klein found ways to examine these early imprints even as they are forming. She was amazed to discover how intensely children are involved in a fantastic world full of wild figures and monsters invested with fiercely violent and passionate feelings. Her extended work with very small children gave her great insight into what she called the “inner world” of “internal objects” juxtaposed to the outer world of external objects. She was able to observe how the child projected these inner objects and the feelings associated with them onto the objects in the room where the play therapy took place, as well as onto the therapist. Applying her insights to adult patients Klein found the same kind of projective behavior and unconscious phantasies at work. Projection and introjection – that is the movement between the inner and outer worlds, and the meanings that were built up through these movements and emotional investments – have a central place in her theory. Hanna Segal, Herbert Rosenfeld, and Winfried Bion were able to use Klein’s ideas effectively in their work with very disturbed and psychotic patients who had been thought untreatable by Freudian methods. In the process of extending the range of psychoanalysis, they contributed greatly to our knowledge of thought disturbances and primitive defensive organizations. 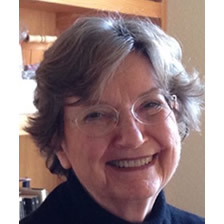 Today the Neo-Kleinians – Betty Joseph, Elizabeth Bott-Spillius, Michael Feldman, John Steiner, Ronald Britton, to name only a few – have worked extensively on delineating the complicated and primitive defensive organizations that prevent the healthy back-and-forth movement of projections and introjections that is necessary for psychic growth and well-being. Their particular talent is their ability to understand and interpret the here-and-now – what is going on between the analyst and the patient from one moment to the next. The emotional impact of this work allows for psychic change in the patient’s defensive organization so that the interchange between inner and outer worlds can be freed up and realistic perceptions become more possible.